Many people likely believe he was just ahead of his time, but (with all due respect to Harold Ramis) the truth is, he’s as wrong now as he was then. Certainly the heyday of the medium is in the past, but when it comes to local news outside the nation’s big urban centers, newspapers are still an important player. The best ones are sharing news in column inches, 140 characters or less and a half-dozen other formats. Another characteristic of today’s best papers is a big interest in “hyper local” content: information relevant to specific communities–down to the ZIP code and even the streets. Why? National/international news comes at us from all directions. What is really lacking these days is the story from the next block. That’s why details on your non-profit, or a special event your business may be planning, can still find an audience via your town’s newspaper and accompanying digital assets, but don’t expect the newspaper staff to beat a path to your door begging for details. You have to provide them complete and detailed information. And make sure you leave the advertising copy where it belongs: in your ad budget. Don’t contact the newspaper unless you have a real story to tell. Most newspapers (and TV stations for that matter) have an email address or “contact us” form on their websites to submit news. The forms usually have a word limit, but if you are sending an email, don’t make it too lengthy. If you are a non-profit, focus on your clients and the track record of your organization. Are you expanding your services to a new demographic or geographic area? Is there an individual or family who have experienced real improvement in their circumstances or outlook because of the assistance they have received from your organization? Are you promoting a special event such as a Trunk or Treat Halloween outreach or free movie for the community? Provide the newspaper with all of the details including alternate plans/locations in case of inclement weather. If the event is free, include that important point up front. Small business owners working together to sponsor a block party/open house is newsworthy. Giving away free Halloween candy, face painting or hosting a costume/pumpkin carving contest? Donating a day’s receipts to charity? Are the employees of your hair salon giving free haircuts for the homeless or students from struggling families? Is your restaurant offering discounts on Thanksgiving to local college students? How about a Veterans’ Day promotion? Is your store going to be a Toys for Tots drop off location for Christmas? 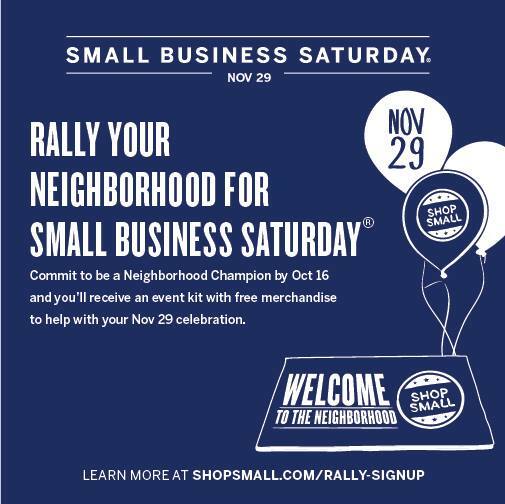 Readers of your local newspaper, who by the way are your potential customers, want to support small businesses who provide excellent goods and services and also give back to the community. Give your newspaper the information they need to highlight your good citizenship. Last week I mentioned that “old school” still works in reference to the U.S. Postal Service. The same goes for newspapers. Don’t count them out, especially if you are living in a suburban/rural area. Keep them in mind as you market and promote your business or non-profit.